Was Jesus Christ a Feminist? That sounds like common sense, and it is. If this were normative feminism – the kind hopeful Christians attempt to embrace – I’d be on board too. But this definition is not all that feminism is – or ever has been. Feminism has morphed over the years, rising in waves, changing with the tide of public priority and opinion. The feminism of today is not the feminism of women’s suffrage. It is not the feminism of Gloria Steinem and Hillary Clinton. It is a new, intersectional feminism; a worldview based on self-actualization, freedom of “choice”, and moral relativity. Feminism today is far more than women’s rights and equality. Watch my full video on the history of feminism here. Why then are Christians flocking to this label? Because until now, the church has had no framework for embracing female believers. So much time has been spent telling women where not to be, little has been said about woman’s part in the Great Commission. We have no framework for showing women how they can impact the kingdom for God’s glory. We have no talking points for confronting abuse in the church. Our women’s ministries talk about how beautiful-in-God’s-eyes we are instead of equipping women to engage theologically. Christian women are being sold short of God’s great intentions, and they know it. The monstrous void within the church has led many women to feminism as the answer. The problem? Feminism won’t fix this. Jesus was not a feminist. Contrary to the Besseys and Held-Evans of the world, Jesus’ pro-woman stance had nothing to do with a cultural, secular worldview peppered with racism, eugenics, socialism, Marxism, misandry, and murder. Jesus exalted women long before the feminist movement came into existence. Before Mary Wollstonecraft attacked the institution of marriage; before Elizabeth Stanton and Susan Anthony pushed for suffrage; before Margaret Sanger advocated for eugenics and abortion to prevent poverty; before Germaine and Gloria and Sheila and Betty had their say, Jesus advocated for women in a culture where women were denied their most basic rights. And Jesus did not make the gospel any less exclusive, or the truth any less hard, in order to do so. The way Jesus walked with women is often adopted by Christian feminists as “proof” that Jesus was on board with the mission. But Jesus’ actions were not dictated by or confined to any ideological box. Jesus doesn’t get on board with human ideas. We get on board with His. 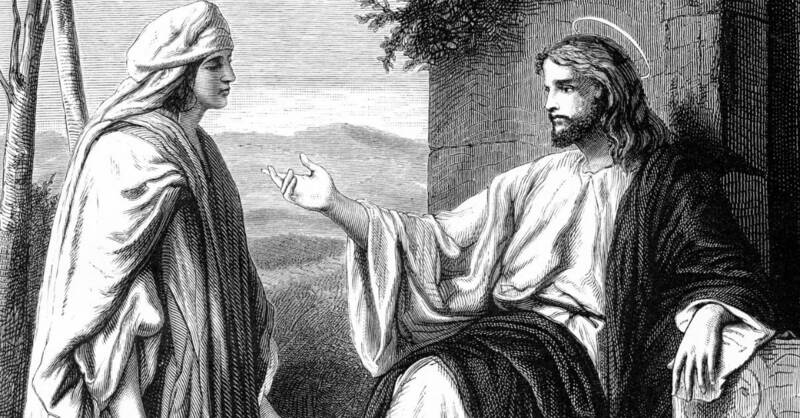 Jesus’ view of women is consistent both with God’s view of women in the Old Testament (since Jesus and God are one) and with Peter and Paul’s discussion of women in the New (for those who know the historical and literary context). To God, women are utterly equal. They are the magnum opus of Creation; the final touch, the “very good”. They were meant to be man’s one companion in a relationship outlined at the beginning (Genesis 2). We are as much a part of man’s work and mission as he is, partners in producing fruitful labor, in creating and making and echoing God in this world. So what happened? Where did the church so miss God’s intentions that we must run to feminism as a solution? The church went wrong when it deemed women as people to be “managed”, not as partners in the Great Commission. When texts were taken out of their historical and literary context, when decisions were made in fear instead of faith, and when people became more interested in the “right roles” than in God’s divine purpose, women were shoved to the corners of church history. But because the church has denied this for many years and in many capacities, we’re told we should all be feminists, because then maybe something would change. God’s will is yesterday, today, and forever. He has worked in countless cultures and kingdoms. He has accomplished His will regardless of movement or march. So while we should understand the cultural and worldview frameworks around us, we do not need them to accomplish what God has set out to do. God has given us His Holy Spirit for that express purpose. He has given us His Word to guide our actions. And He has called us to a Commission outside ourselves. It is popular to call oneself a Christian feminist. It is acceptable and applaudable. But to adopt a cultural framework and read it into Scripture is completely backward. As Christians, the word of God is our starting point. It is not a nice option to weave into our existing worldview. We start with God’s Word and we check all other frameworks against it. What does not line up with God’s vision for discipleship and justice, we reject. And the things that do fit with God’s vision for men and women come second to His existing commands. There has never been a time in the history of the world when clarity of worldview was more essential. We live in the literal New Age. Morality is relative. Everyone has his own truth. People regularly discuss belief and faith. This is an incredible opportunity for Christ followers to spread the gospel. But calling ourselves feminists associates us with a movement whose core values fly in the face of the Christian worldview. Unless we have time to sit down and explain exactly which feminist priorities we agree with and which we reject, we are in danger of leading countless unbelievers and young believers into confusion. These people need clarity regarding the Christian worldview. How do we explain that yes, we believe women are equal and deserve equal rights in every way – but that women’s rights are not the same as LGBTQ rights? Do we have time to lay out to each person who hears us call ourselves “feminists” that no, we don’t believe abortion is acceptable, but we do want to improve support for teen moms? It would be far simpler to stop picking up the feminist label and instead have these conversations as someone who is simply pro-woman – like Jesus was. Since the bible preceded feminism, it cannot rightly be called “feminist” – though many people try. Proof-texting arguments to support their claims, they are particularly fond of Jesus’ interactions with women as examples of His so-called feminism. But as previously stated, Jesus exalted women based on their divine design and purpose – not because He held to a worldview of equality. In fact, equality was the bare minimum Jesus called for among His disciples. In the Sermon on the Mount of Matthew 5-7, Jesus continually brings people back to the “spirit of the Law”: The heart of selflessness and love that God intended His people to display. We’re not to settle for treating men and women as “equals”; we are to treat them as better than ourselves (Matt. 5:43-48, Lk. 6:30-36). This theme is consistent in both the Old Testament and the New. In Leviticus 25, God points out that treating the poor, the foreigner, or any human among us with disrespect and dishonor is offensive to Him. In Romans 12:10 we are called to “outdo one another in showing honor” and in Philippians 2:3 to “count others as more significant than ourselves”. We do not need feminism in order to honor women. We need a proper exegesis of God’s Word and hearts ready and willing to act on it. We need to stop worrying about whether or not women are “in their roles” and instead partner with our brothers and sisters to provide for the underprivileged and further the Great Commission. Today, Christian women have more rights, privileges, and cultural mobility than ever before – at least in Western culture. In other cultures, we are seeing great strides made, but much work has yet to be done. And that’s just it: There is work to be done. Feminism HAS accomplished some good things, but what was accomplished remains empty if the gospel is not furthered through those victories. Do I think you can be a Christian and a feminist? I don’t doubt the faith of those who claim both worldviews, but I do doubt whether most Christian-feminists are aware of feminism’s history and current role in society. Most truly believe that the Google definition is THE definition of feminism. They want to separate the label from the legacy, and that’s simply not possible. Even the best “versions” of feminism – pro-life feminism, new wave feminism, equality feminism – are almost 100% anti-God or universalist, pro-self, pro-LGBTQ, and adamantly opposed to biblical values. I don’t expect to change minds with this post, but I hope it makes you think. Think about the implications of trying to merge Christianity and feminism. One or the other must be diluted from its true nature. That’s why I suggest, as Christian women, that we maximize our current mobility. Drop the labels and actually do something. Be more than a feminist. Be fully and utterly pro-woman, adding value, radiating kindness, listening well, and bringing the truth just like Jesus did. Be pro-woman to the mom considering abortion. Be pro-woman to the immodest girl. Be pro-woman to your lesbian neighbor. Be pro-woman to the older woman in your church who doesn’t ‘get it’. Be pro-woman to your more liberal friend. Be pro-woman to the unborn baby girl. Be pro-woman to the legalist trapped by Christian patriarchy. Be pro-woman to the secular feminist. Be pro-woman. Then maybe we – we the Church – won’t fail women anymore. And we won’t need feminism to fix a problem we had the answer to all along. Listen to the full podcast episode on this topic and read this post on God’s view of women. This article originally appeared here. Used with permisison.